Each element is referenced by a unique id. This id cannot be altered and therefore can be used for unique identification of elements within measurements, accounting and audit. On base of true to scale mapping base areas and lines are calculated automatically and sorted into user defined size areas. Areas can also be calculated by min. bounding box (width / height). 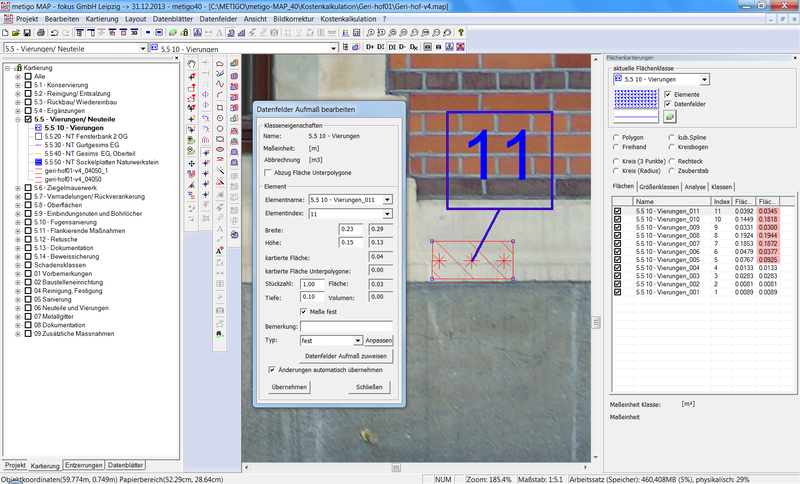 Inserting a value for the depth manually a volume can be calculated. The third calculation method is to insert manual measurement values - e.g. with tablet on site - and to use them for calculation. 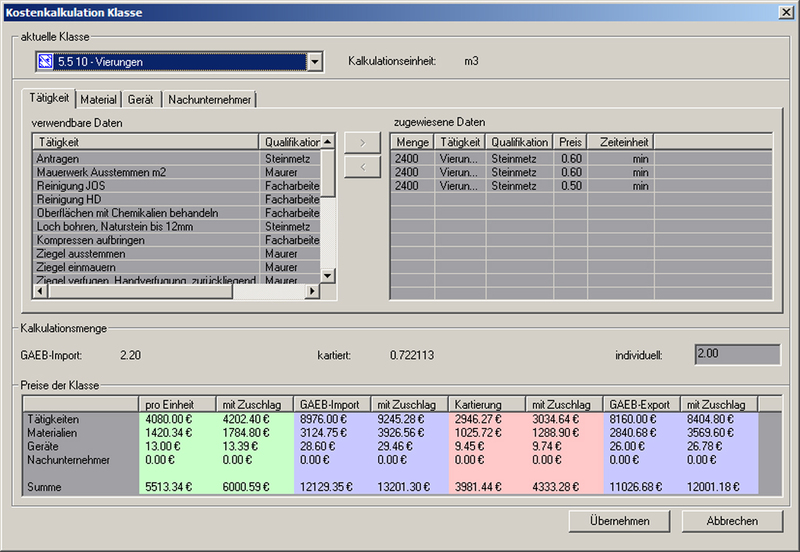 For each class minimum invoice amounts can be set. GAEB is a German organisation issuing a special file format, commonly used in Germany for data exchange in tendering and accounting. Using the GAEB-interface, you can directly transfer service items to the mapping project. The class types will be assigned according to the billing unit. 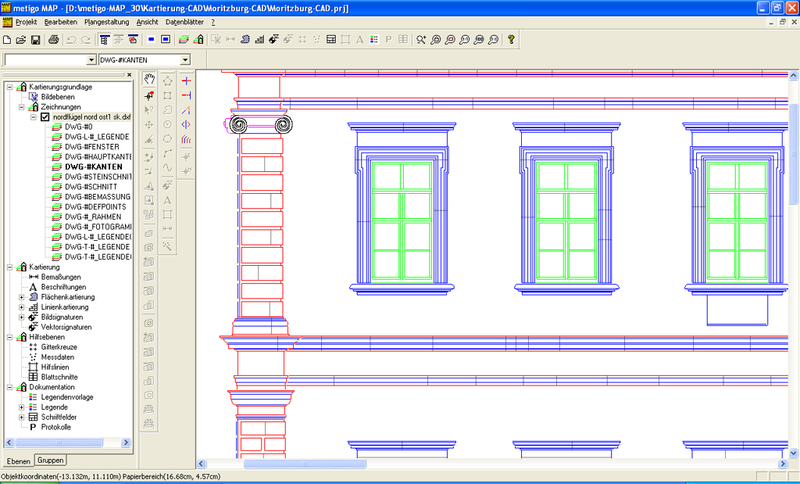 The enhanced structure of the GAEB-file will be imported to the mapping project. 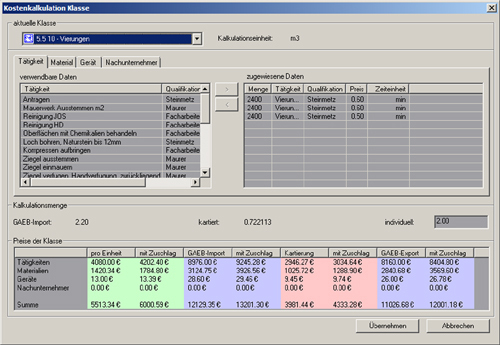 After mapping, quantities determined by mapping can be re-exported to the GAEB-file. In the section master data management, you can create quantity and currency units, own expense rates for the required jobs and necessary skills therefor as well as for materials and equipments. Based on master data, expenses for activities, material, equipment and sub-contractors can be defined for each mapping class. . These expenses will be assigned to each mapping elem The third calculation method is to insert manual measurement values by billing/invoice unit (m, m², m³ piece, global). Concerning all mapping classes, contingencies for activities, material, equipment and sub-contractors as well as a general budget contingency can be implemented.